I love to refresh my closet when a new holiday approaches. Christmas is definitely my favorite season, but I am so excited to celebrate the "day of love" this February. One of the places I search for seasonal outfits is Bealls Outlet. I was looking through the juniors section of my local Bealls Outlet last week. 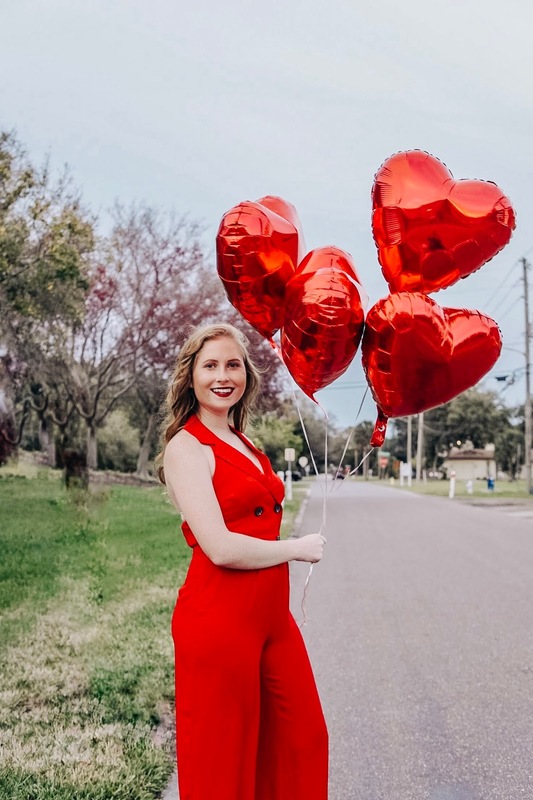 I was in the market for a red or pink dress to wear on February 14th. 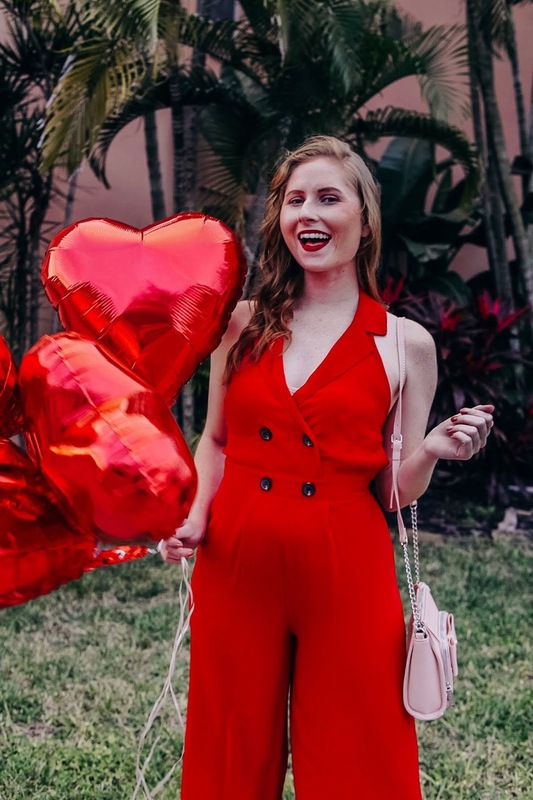 Luckily, I came across this adorable red jumpsuit! I love the faux buttons on the front of it. I tried it on and the small worked beautifully. 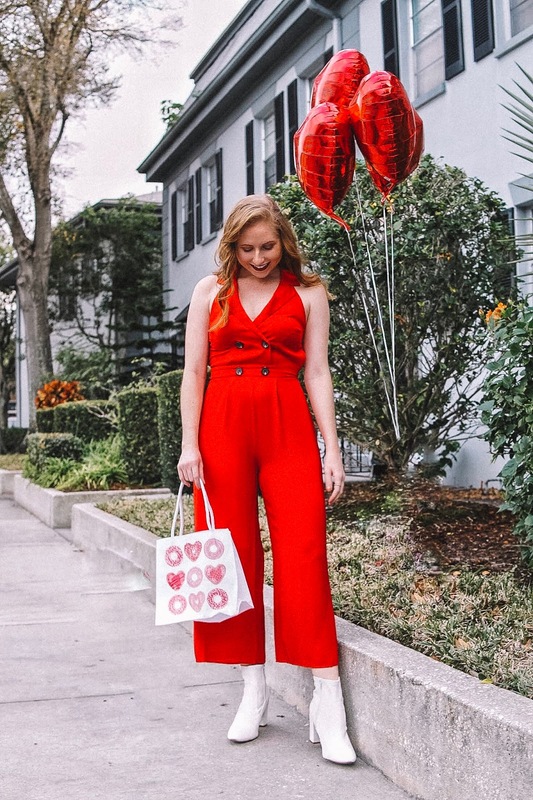 Once I found my perfect red jumpsuit, I was on the hunt for the cute bag. I found a crossbody bag with a pink bow on it from the Betsy Johnson brand. When I saw the extensive bag collection in front of my Bealls Outlet store, I was surprised by how many different bag options were in available in front of me. I even found a few Zac Posen satchels! These bags are typically over $400, and they were marked down to under $190. Bealls Outlet continues to impress me with their designer options for way, way less. FTC: Thank you Bealls Outlet for sponsoring this post! You look way to darling in this!